Receive the personal attention you deserve! We’re committed to learning your name and your family’s prescription needs (including Fido!). Our pharmacist is an expert in his field. In fact, he received his doctor of pharmacy degree from Philadelphia College of Pharmacy and has done rotations in Geriatrics, General Medicine and Intensive Cardiac Care. 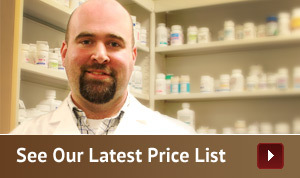 We may not be the biggest pharmacy, but we can still offer the most competitive prices in the neighborhood. And we accept almost every insurance. Specialized packaging is an important part of Custom Care Pharmacy’s unique offerings. We are one of the only local pharmacies to offer blister packs.